Ceremony rehearsal on the back lawn of Sandlewood Manor. 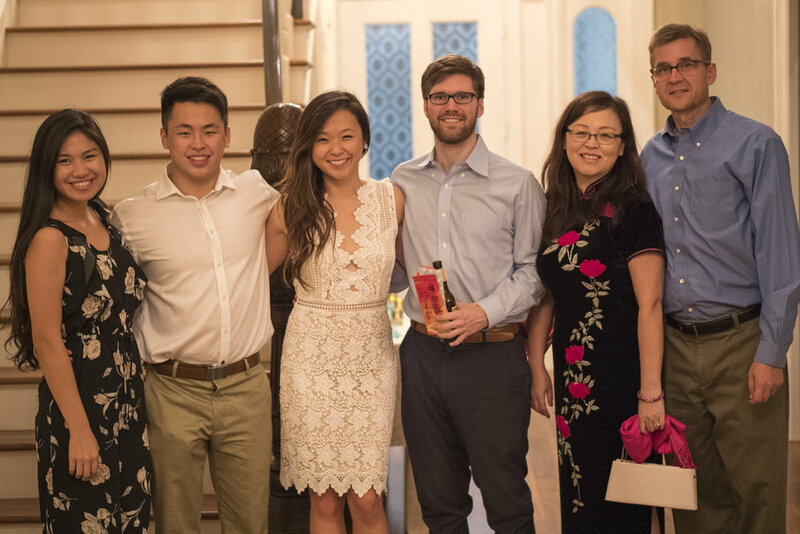 We had the pleasure of hosting our first event at Sandlewood Manor last Friday night; a beautiful rehearsal dinner for Jonathan Palis & Catherine Hu! While Sandlewood's 10,000 sq. 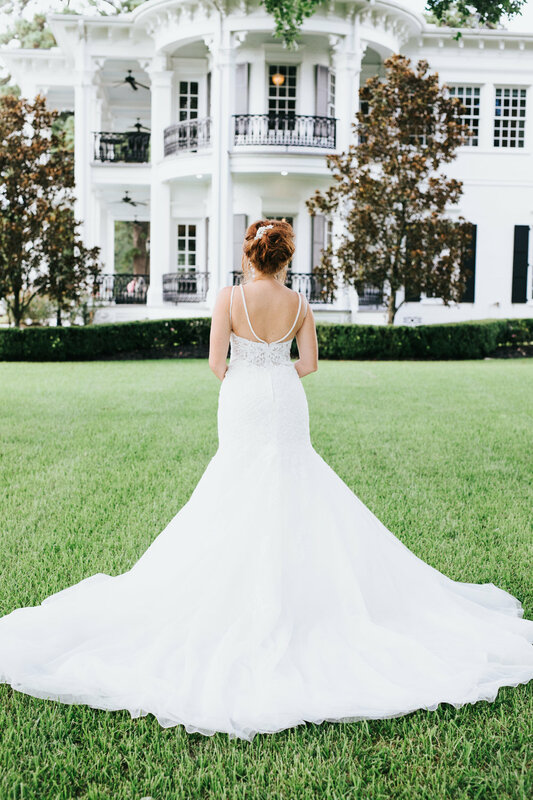 ft. ballroom will be available for events starting Fall 2018, Sandlewood Manor's main estate house is the perfect venue for intimate events like rehearsal dinners, renewal of vow ceremonies & small-scale wedding ceremonies/receptions. 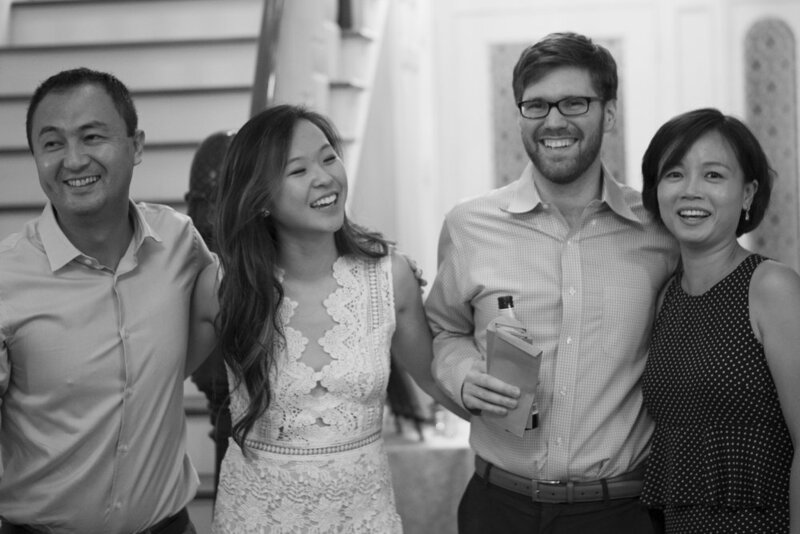 The lovely couple: Jonathan Palis & Catherine Hu. A beatuiful, handcrafted sign welcomes guests at the front door of the Sandlewood Estate Home. 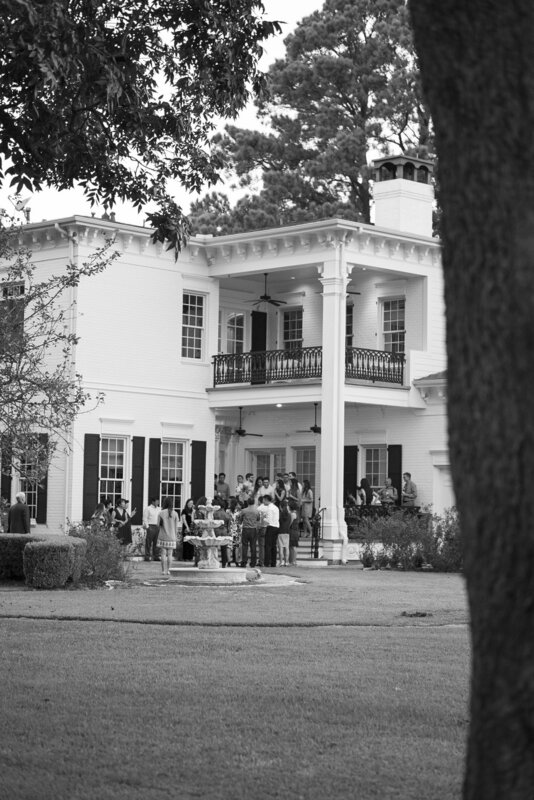 Next, the wedding party and guests headed out to the back lawn of Sandlewood's Estate Home to run a quick rehearsal for the next day's ceremony. The night began with big hugs, smiles, laughter and reconnection of international relatives - some of who traveled thousands of miles to celebrate the big day with the couple. Then a cocktail hour, complete with delicious appetizers and an accompanying wine & beer selection. A rehearsal of the wedding ceremony. Romantic handcrafted decorations adorned the inside of the Manor home. 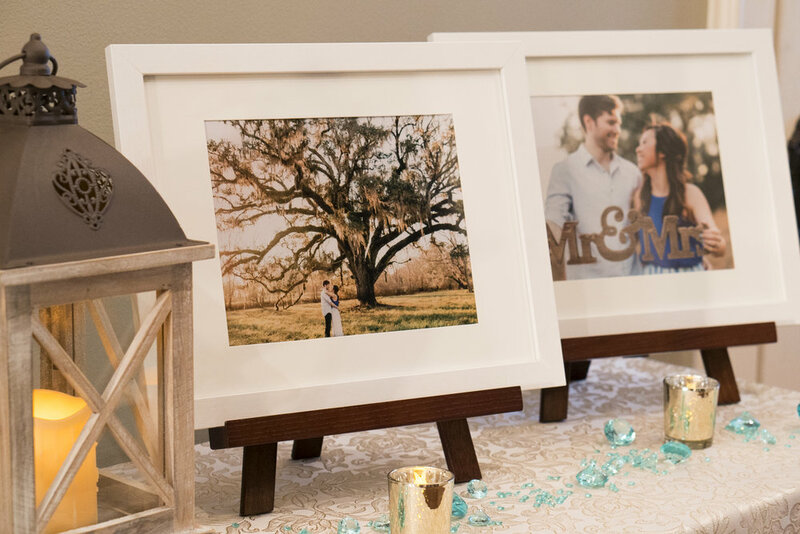 Framed engagement pictures lined a candlelit table near the lounge for viewing. 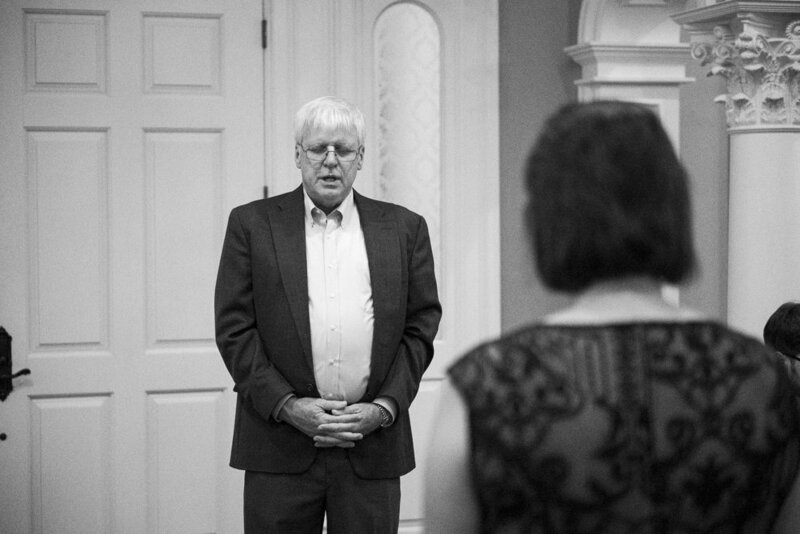 The Groom's father prays a blessing over the couple before dismissing tables for dinner. Friends and family take a moment after dinner to capture the memories of a wonderful night. 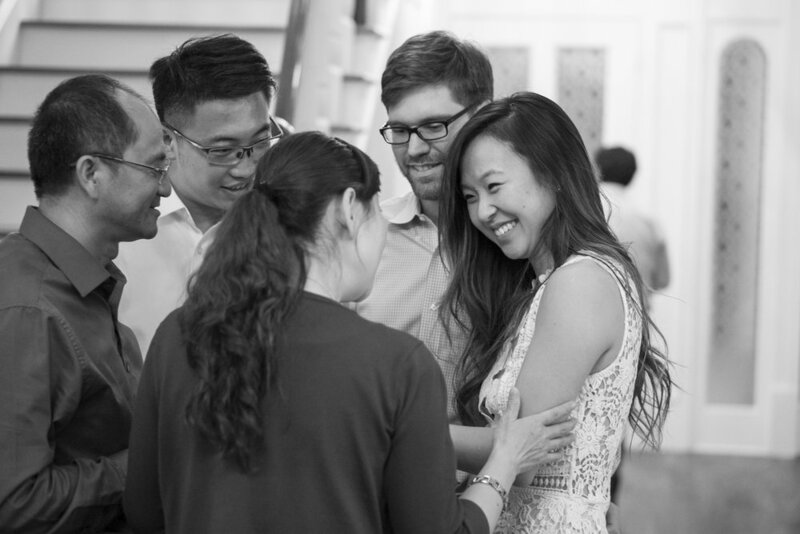 Bride-to-be Catherine shares a laugh with long-distance relatives. Catherine's best friends and bridesmaids open their gifts. Before the night's end, guests grab photos with the couple. The most adorable guest of the evening stops to get the last photo of the night. We were honored to host Jonathan & Catherine's rehearsal dinner at Sandlewood Manor and pray immeasurable blessing, unending joy and unforgettable memories over their marriage. And most importantly, love - a love that lasts a lifetime!